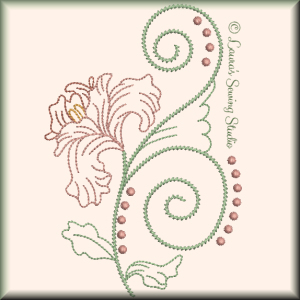 Thank you Laura for another beautiful design in the fragile petals set! Thank you Laura for the beautiful design. How do I buy/get the previous designs in the set, as I didn’t get the emails, even though I have signed up for emails. I emailed you too. You may want to check to make sure your email address is correct in the newsletter or sign up again with the correct email address. The collection will be on sale sometime after the collection is complete.